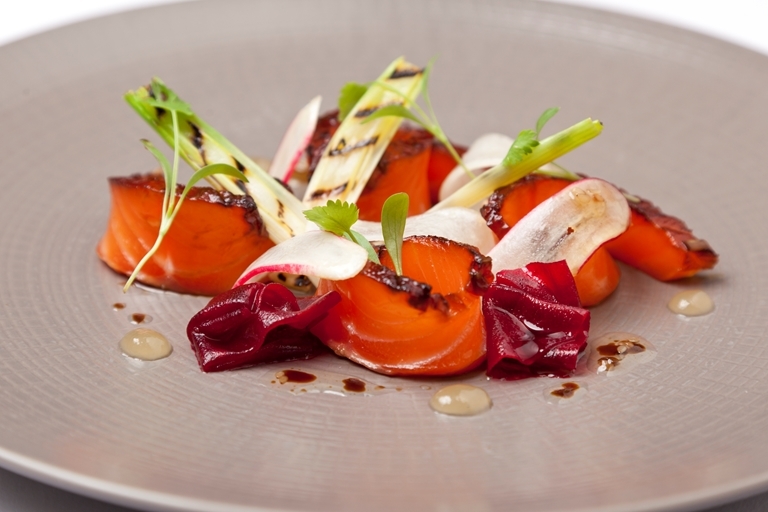 This treacle-cured salmon recipe from Andy McLeish will not pay immediate dividends - as it takes a few days for the salmon to cure. The end result, though, is a stunning dish which carries an unusual, but brilliant flavour. The lemongrass and ginger purée is an effective accompaniment and brings out the Asian flavours in the curing mix.